Its ideas and energy can lead to an era of progressive governance—if it keeps its eyes on the prize. That won’t be easy for a campaign that came achingly close to winning. Sanders and his team will arrive at the Democratic National Convention with the largest insurgent delegation in modern history. Hillary Clinton and her supporters must welcome them and, when it is possible and necessary, bend to their sincere demands for better rules and a more progressive platform. For that to happen, however, the Sanders campaign must maintain a scrupulous focus on reforms that would democratize the party going forward rather than relitigating the election that was, as well as on platform proposals that push the party to fully embrace an economic- and social-justice agenda. To her credit, Clinton has already responded to some of these demands by moving left on everything from raising wages to trade policy to blocking the Keystone XL pipeline. But lingering skepticism about the sincerity of those moves, as well as a sense that the deck has been stacked against Sanders by party elites, has led to rancorous skirmishes between the campaigns’ supporters, including a much publicized clash over a handful of delegates at the Nevada state convention. Media outlets have rushed to pronounce a party schism that rivals that of the Republicans. The Clinton and Sanders camps do have differences—on how aggressively the party will address economic inequality, and on how to build a party that is open and inclusive. These differences cannot be waved away; they must be addressed honestly and with an eye toward building trust between the campaigns and with a progressive electorate. There are some places where common ground will not be found. But it is important to recognize that the party is far less fractured than the media would have us believe. 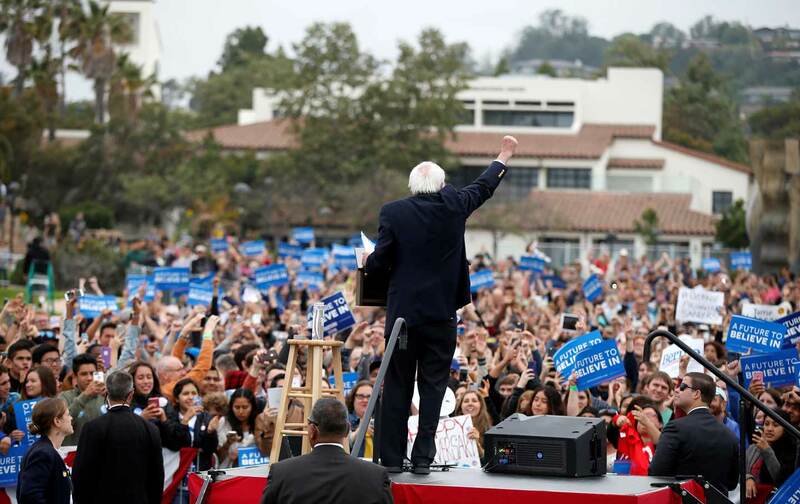 A mid-May New York Times/CBS News poll found that 72 percent of Sanders backers would vote for Clinton; at the same point in 2008, only 60 percent of Clinton backers said they would vote for Barack Obama.